Photographer, writer, publisher, and curator Alfred Stieglitz (1864-1946) was a visionary far ahead of his time. Around the turn of the 20th century, he founded the Photo-Secession, a progressive movement concerned with advancing the creative possibilities of photography, and by 1903 began publishing Camera Work, an avant-garde magazine devoted to voicing the ideas, both in images and words, of the Photo-Secession. Camera Work was the first photo journal whose focus was visual, rather than technical, and its illustrations were of the highest quality hand-pulled photogravure printed on Japanese tissue. This book brings together all photographs from the journal's 50 issues. 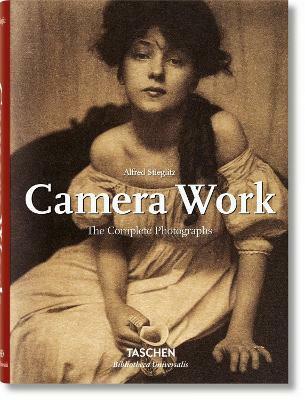 "Anyone interested in photographic history should have this book." "This has to be the `must buy' book of the decade-no photographic library will be complete without it."